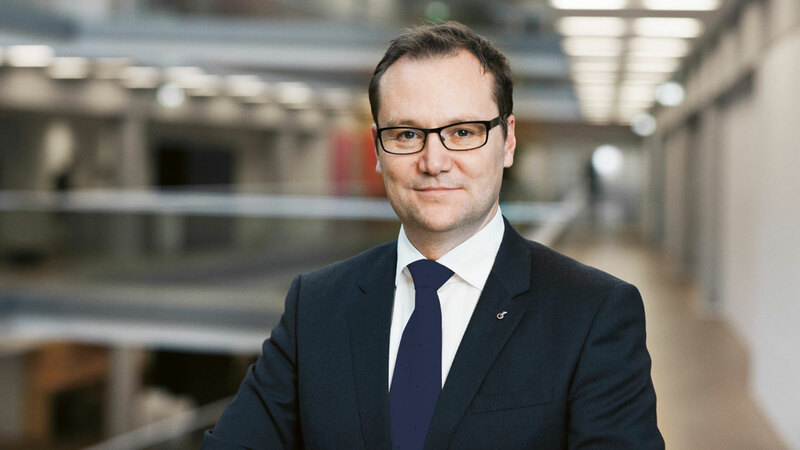 Ramboll reports best result ever - Ramboll Polska Sp. z o.o. The engineering, design and consultancy company delivered a strong result in 2016. Operating profit before goodwill amortisation was the highest achieved in the company’s history and EBITA margin improved considerably. Ramboll is now in a solid position to deliver on the new four-year Group strategy ‘Winning Together’. Managing Director, Support Organisation. Interim Group CFO. The Ramboll Group delivered a strong performance in 2016. Operating profit before goodwill amortisation (EBITA) increased by 27% to DKK 602 million - the highest in the company’s history. EBITA margin was 5.7%, an increase of 1.2% point compared to 2015. For the second consecutive year, a cash conversion above 100% was achieved. Ramboll is now net debt-free despite having made the largest acquisition in the company’s history two years ago. The satisfying result can be attributed in particular to solid performances in the Nordic business units and in the global Energy business unit. Ramboll won several high profile projects in 2016. Project wins include the design of one of China’s largest offshore wind farms consisting of 100 turbines with a capacity of 400 megawatts, which amounts to the total energy consumption of 350,000 households. In Denmark, Ramboll was appointed lead consultant for the establishment of a new artificial island, Kronløbsøen, which will include a spectacular housing development in Copenhagen’s North Harbour. Ramboll was also chosen as technical consultant for the public client Banedanmark for the upcoming electrification of the railway line between Fredericia and Aarhus. In the US, Ramboll will help MIT (Massachusetts Institute of Technology) convert their steam system to hot water district energy and will conduct a low carbon energy supply study for the entire city of Cambridge. Ramboll is also supporting New York City with its important efforts to adapt to a changing climate through more effective storm water management and flood protection. 2016 marks the final year of the Group strategy ‘Stronger Together’ and in January 2017 Ramboll launched its new four-year strategy ‘Winning Together’. Over the last five-year strategy period, Ramboll’s revenue increased by 54% and EBITA by nearly 70% despite the negative impact of the challenging Oil & Gas market on Ramboll’s Oil and Gas unit, as well as on those units operating in adjacent markets and geographies. In addition, Ramboll has maintained a leading position in the Nordics, made large inroads outside Denmark with 74% of revenue now generated internationally - in particular due to reinforced presence in the US, Asia and Europe - and established two new global practices within Environment & Health and Water. ‘Winning Together’ sets Ramboll’s direction from 2017 through 2020 and builds on the journey established by the ‘Stronger Together’ strategy. “Driving digitalisation is also a top priority. This means using digitalisation to gain efficiency in our operations and developing new and competitive digital services to the benefit of our clients. And it also means further enhancing our digital expertise in consulting to support our clients who are facing the opportunities and threats of digitalisation,” he says.